The NHL’s Western Conference Finals are between two upstart teams in the Winnipeg Jets and Vegas Golden Knights. The Vegas Golden Knights have defied expectations in their inaugural season, becoming the first expansion team in 50 years to win multiple playoff series. The Golden Knights are led by forward William Karlsson, who has four goals and six assists in the playoffs. The Winnipeg Jets had the second-highest point total in the league with 114 points. Center Mark Scheifele leads all scorers in the playoffs with 11 goals in 12 games. Jason Romano – Winnipeg in 7: When you go into Nashville in a Game 7 and dismantle a quality team like the Predators, you know Winnipeg is not fazed by the moment. They’ll get another moment beating the expansion Golden Knights and ending their miracle season. 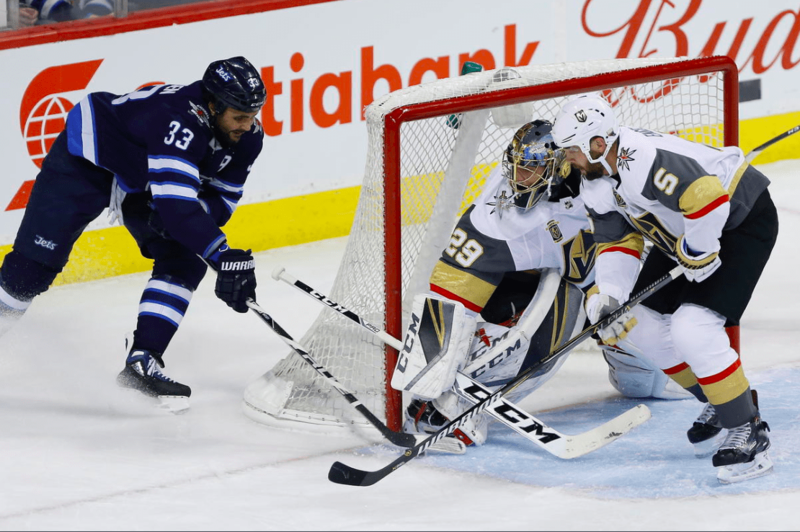 Justin Adams – Winnipeg in 6: The Golden Knights are 8-2 in the playoffs and have easily been the best story in hockey, but watch out for the Jets. Winnipeg forward Kyle Connor will look to build off the two goals he scored in the previous series and will help the Jets soar to the Stanley Cup Finals. Jon Ackerman – Vegas in 7: How the Golden Knights are an expansion team playing so well, I still don’t get. But they’re playing with house money now. 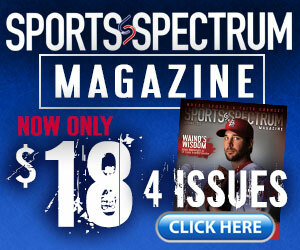 Aaron Sauer – Vegas in 6: Vegas has thrived all season in the underdog role. Known as the “Vegas Misfits,” they have a seasoned head coach in Gerard Gallant and the ability to use their speed to adjust to the Jets’ size, like they did against the San Jose Sharks. Vegas will slowly wear down the Jets defense and take this series in six games. The league finally got it right with the Expansion Draft Lottery and the city of Las Vegas will host its first professional sporting title, Lord Stanley! Raiders take note! NEW PODCAST: Ryan Carpenter, Vegas Golden Knights Center Stanley Cup Finals Predictions: Washington Capitals vs. Vegas Golden Knights Washington Capitals coach Barry Trotz says chapel helps players find strength in their weakness Will Game 7 against Winnipeg be the swan song for Nashville’s Mike Fisher?